01. 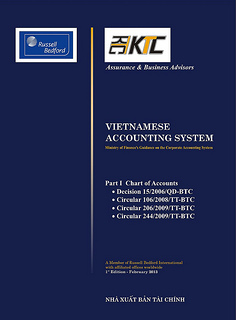 The objective of this standard is to prescribe and provide guidelines for cases when an enterprise should adjust its financial statements, principles and method to adjust the financial statements for events after the balance sheet date and disclosures about the date when the financial statements were authorized for issue and about events after the balance sheets date. If events occurring after the balance sheet date indicate that the going concern assumption is not appropriate the enterprise should not prepare its financial statements on a “going concern” basis. 02. This Standard should be applied in the accounting for, and disclosure of, events after the balance sheet date. Events after the balance sheet date are those events, both favourable or unfavourable, that occur between the balance sheet date and the date when the financial statements are authorised for issue. (a) Adjusting events after the balance sheet date: those events that provide evidence of conditions that existed at the balance sheet date. (b) Non-Adjusting events after the balance sheet date: those events that are indicative of conditions that arose after the balance sheet date. The date when the financial statements were authorized for issue is: The date when the enterprise’s Finance Director (or someone who is authorized by the Finance Director) signs on financial statements for distributing to external parties. 04. The process involved in authorising the financial statements for issue will vary depending upon the management structure, statutory requirements and procedures followed in preparing and finalising the financial statements. 05. Events after the balance sheet date include all events up to the date when the financial statements are authorised for issue. 06. An enterprise should adjust the amounts recognised in its financial statements to reflect adjusting events after the balance sheet date. (d) The discovery of fraud or errors that show that the financial statements were incorrect. 08. An enterprise should not adjust the amounts recognised in its financial statements to reflect non-adjusting events after the balance sheet date. 09. An example of a non-adjusting event after the balance sheet date is a decline in market value of investments such as capital contributions in join ventures and Investments in Associates between the balance sheet date and the date when the financial statements are authorised for issue. The fall in market value does not normally relate to the condition of the investments at the balance sheet date, but reflects circumstances that have arisen in the following period. An enterprise does not adjust the amounts recognised in its financial statements for the investments although it may need to give additional disclosure under paragraph 19. 10. If dividends to holders of equity instruments are proposed or declared after the balance sheet date, an enterprise should not recognise those dividends as a liability at the balance sheet date. 11. If dividens are declared after the balance sheet date but before the financial statements are authorized for issue the dividends are not recognized as liability on the balance sheet but should be disclosed in the notes in accordance with VAS 21 “Presentations of financial statements”. 12. An enterprise should not prepare its financial statements on a going concern basis if management determines after the balance sheet date either that it intends to liquidate the enterprise or to cease trading, or that it has no realistic alternative but to do so. 13. Deterioration in operating results and financial position after the balance sheet date may indicate a need to consider whether the going concern assumption is still appropriate. If the going concern assumption is no longer appropriate, the effect is so pervasive that this Standard requires a fundamental change in the basis of accounting, rather than an adjustment to the amounts recognised within the original basis of accounting. (b) management is aware of material uncertainties related to events or conditions that may cast significant doubt upon the enterprise's ability to continue as a going concern. The events or conditions requiring disclosure may arise after the balance sheet date. 15. An enterprise should disclose the date when the financial statements were authorised for issue and who gave that authorisation. If the enterprise's owners or others have the power to amend the financial statements before issuance, the enterprise should disclose that fact. 16. It is important for users to know when the financial statements were authorised for issue, as the financial statements do not reflect events after this date. 17. If an enterprise receives information after the balance sheet date about conditions that existed at the balance sheet date, it should update disclosures that relate to these conditions, in the light of the new information. 18. In some cases, an enterprise needs to update the disclosures in its financial statements to reflect information received after the balance sheet date, even when the information does not affect the amounts that the enterprise recognises in its financial statements. one example of the need to update disclosures is when evidence becomes available after the balance sheet date about a contingent liability that existed at the balance sheet date. (j) commencing major litigation arising solely out of events.